Just imagine sizable Hybrid-Tea-shaped blossoms carried in huge clusters on a very showy Climber. Now add a color that gives 'eye candy' a whole new meaning with swirls of impetuous pink spun with creamy ivory yellow. 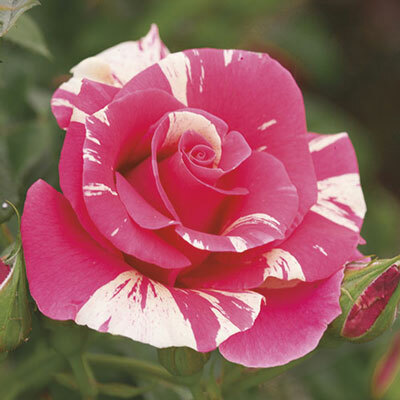 Top it all off with some of the most glorious gorgeous glossy foliage in rosedom – lush, clean & apple-green. This all lends a winning combination, especially when it comes to vigorous hardy easy-care Climbers. One of our very best yet! Blooms & reblooms well in the very first year.